Jonathan is a mechanical engineer with a background in product development in the medical device industry. He brings with him a deep curiosity to understand the how and why of people and things. Experienced in design, experimentation, data analysis and problem-solving; Jonathan offers an analytical, strategic and inventive approach to his work. Through collaborative stakeholder engagement and a human-centered mindset he navigates complex problems to arrive at impressive outcomes. Manage a partnership between Engineers Without Borders NSW and a local not-for-profit organisation to assist skilled migrants and refugees to gain employment skills. Prior to joining Nous, Jonathan was a new product industrialisation engineer at Cochlear Ltd, where he developed cochlear implants and researched and tested new manufacturing technologies. Jonathan is an active volunteer with the humanitarian organisation Engineers Without Borders NSW, where he holds the position of coordinator of the Energy Hub and manages a partnership with a local not-for-profit. 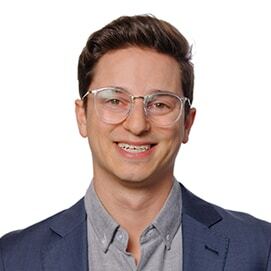 Jonathan holds a Bachelor of Engineering (mechanical engineering) and a Bachelor of Commerce (business strategy and economic management) from the University of NSW. Outside of work you can find Jonathan playing with his wife and daughter, running, at gym or body boarding. He also enjoys podcasts, magic and attempting to paint impressionist portraits.